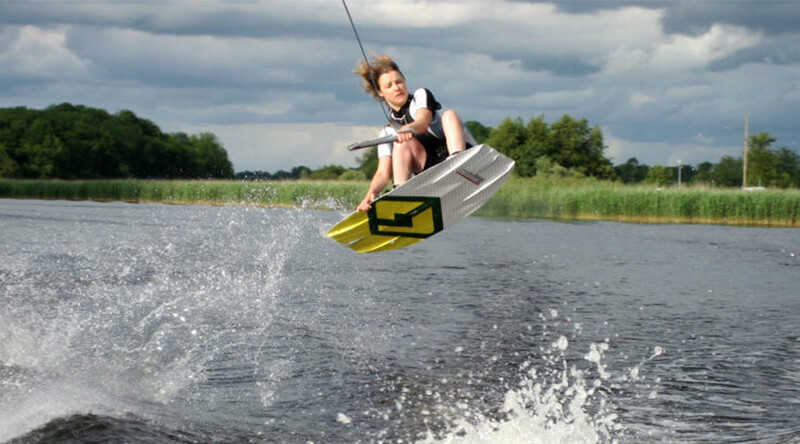 WaterMark ski club has excellent, experienced instructors available with the very best equipment to teach you wakeboard, water ski, wake skate, wake surf, barefoot, trick ski, bodyboard and zapcat on Lough Derg, Portumna, County Galway. The boat ‘Tubal’, makes for an excellent clubhouse complete with refreshments and a sauna to warm you up and chill you out after your lesson or workshop. Workshops are available for a minimum of four people, with intense training and troubleshooting in wakeboard, waterskiing or any of the other disciplines on offer. WaterMark ski can cater for small groups, families, corporate parties, birthday parties, stag/hen parties and can also coach you in your own boat. There are offers from a beginners crash course, or a try four different sports sampler, to intense training and trouble shooting. For a change of pace, catch the 53 seater water bus ‘Ku ee tu’ from New Harbour, Dromineer and explore Lough Derg. Can organise live music parties and food can be arranged. Booking in advance is essential.